When you’re getting your YouTube channel off the ground, having associated social media profiles is very important to maximize growth. Whether you’re a Beauty Guru or a YouTube Gamer, you’ll need your social media icons to be quick and easy to find on your channel’s page, and YouTube has a system in place to allow you to do that! Unfortunately, YouTube’s user interface can be confusing and difficult to navigate at times. Lucky for you, FilmToolKit has put together an easy to follow, visual guide to show you how to add social media buttons to your YouTube channel. If you’re trying to figure out how to add these, you’re in the right place. It’s a relatively fast process actually. It’s just not very user friendly. Go to YouTube.com, head to your profile icon in the top right corner and click on My Channel. Clicking on that will bring you to your channel. Scroll down and head over to the option where it says customize channel. Then click customize channel. The page will do a refresh and you will see a little cog wheel next to your subscribe box. Click on the cog. You’ll get a little pop-up that says channel settings. 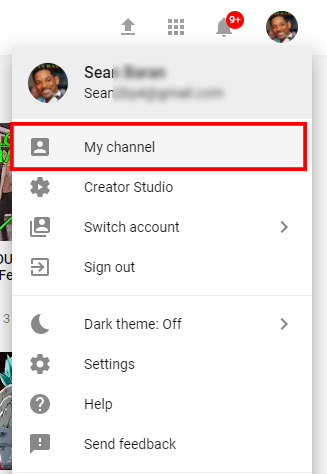 Just slide the toggle that says Customize the layout of your channel to the right and press save. The page will refresh again, and this time you’ll see a little pencil icon at the top right of your YouTube banner. Clicking on it creates a drop-down menu that will give you the option “edit links”. Click on edit links. At this point you will be brought back to the customize channel screen from the first part of the tutorial. Click on customize channel again and scroll to the bottom of the page. Under the header that says custom links, you are allowed to choose how many links you would like to display over your banner. Directly below that, you may click add once for each link you would like to add. this will make more forms appear below the add button. Once you have added the appropriate amount of forms, go around to all of your different social media profiles and gather the URL’s you want to link to! On the right side, you paste the links from the social media profiles or websites you would like to link to. Press done, and the links will be placed on top of your banner! We suggest adding at the bare minimum Instagram and Facebook. It’s even better if you’ve made Twitter and Snapchat profiles to support your YouTube career. If you’ve followed all the steps correctly, now you’re done! 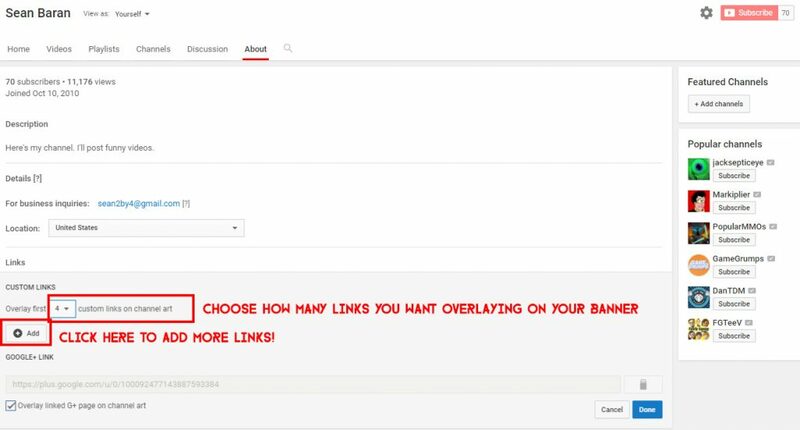 You should have all of your social media links added to your YouTube in a spot that’s convenient to access for all of your traffic. Now you just have to go build out those social media profiles! There you have it. As you can see, the steps you need to take to add social media icons to YouTube channels are not exactly intuitive. 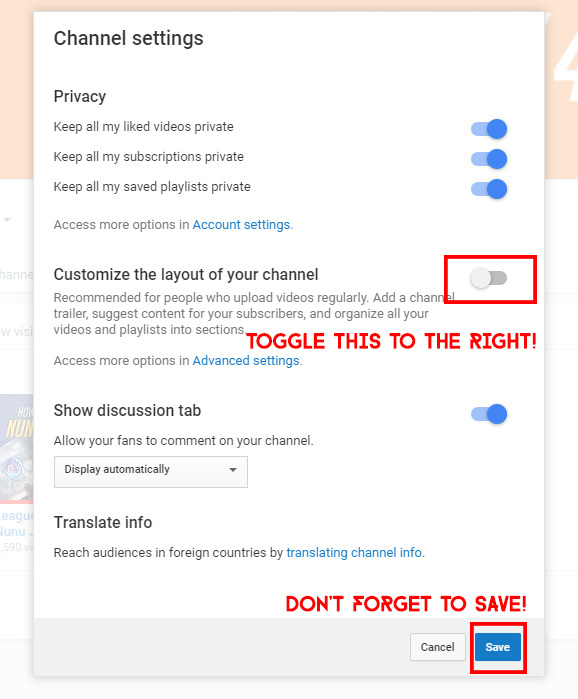 Hopefully this guide was helpful to you, and I won’t find myself rewriting it in 2 weeks if YouTube decides to change it’s entire system again.